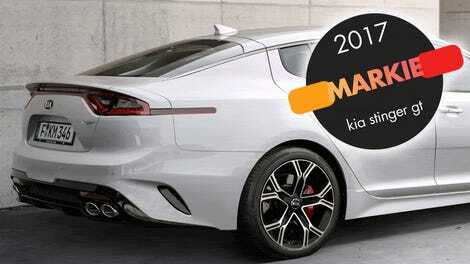 How Would You Configure Your 2018 Kia Stinger? 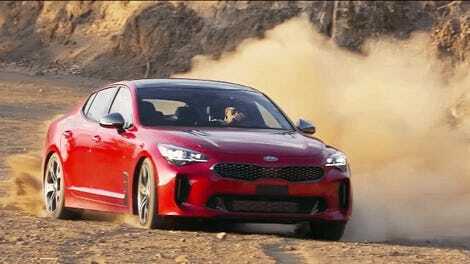 The rear-wheel-drive Kia Stinger Sportback is the first vehicle to challenge some of the sport sedan badge snobbery from Kia, historically an automaker more known for budget cars than fast ones. How would you spec yours? 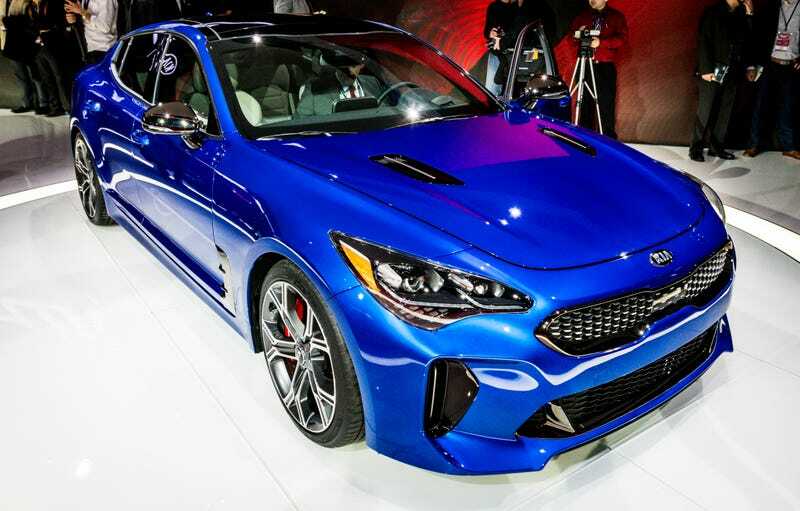 The Stinger starts at $32,800 for a rear-drive car powered by a 255 horsepower 2.0-liter turbo four mated to an eight-speed automatic and comes standard with features such as heated leather seats, and Apple CarPlay/Android Auto. The top Stinger GT has a 3.3-liter twin-turbo V6 with 365 HP. That base price is only $1,600 more than the new Honda Accord Sport with the 2.0T and ten-speed automatic transmission. While you can get the Honda with a three-pedal option for a bit less, the Accord is far more family car than sport sedan mostly due to the fact that the power is only going to the front wheels. The base model Stinger is also over $10,000 cheaper than the BMW 430i Gran Coupe before you start ticking option boxes on the German. However, the real value is the Stinger GT that stickers for $38,350. Add AWD for an additional $2,200 and you would still be almost $14,000 cheaper than an Audi S5 Sportback. Although, it must be noted the Audi does claim a 0-60 sprint of 4.5 seconds for the S5 compared to a claimed 4.8 seconds for the Stinger. I bet in the real world you would notice a $14,000 savings over a 0.3-second delay in your 60 mph run. Head on over to Kia’s website and build the Stinger Sportback that you probably never thought you would consider buying, and drop your example in the comments.